Join us this month for Community Conversations Book Club at Red Planet Books and Comics. 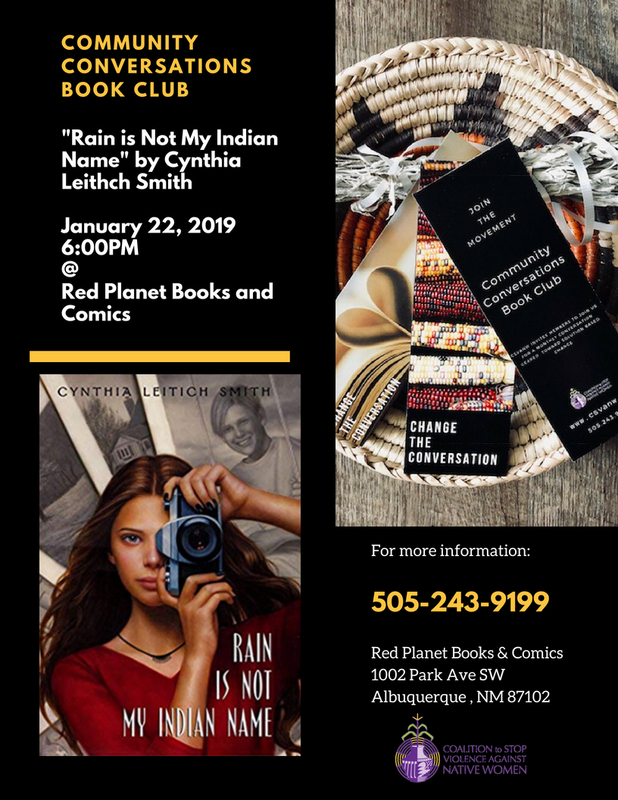 In January, CSVANW is reading, “Rain Is Not My Indian Name” by Cynthia Leitich Smith. It’s been six months since her best friend died, and up until now Rain has succeeded in shutting herself off from the world. But when controversy arises around her aunt Georgia’s Indian Camp in their mostly white midwestern community, Rain decides to face the outside world again—at least through the lens of her camera. Hired by her town newspaper to photograph the campers, Rain soon finds that she has to decide how involved she wants to become in Indian Camp. Does she want to keep a professional distance from the intertribal community she belongs to? And just how willing is she to connect with the campers after her great loss?